QPR are still searching for their first points of the season after suffering a 3-0 defeat to Bristol City at Loftus Road this evening. A first-half Matty Taylor strike and a double from Andreas Weimann gave the Robins their first victory at Loftus Road since 1977. Steve McClaren opted to make four changes to the side that were thrashed 7-1 by West Brom on the weekend. Out went Osman Kakay, Joel Lynch, Jordan Cousins and Matt Smith. 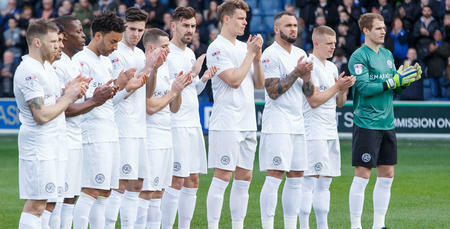 They were replaced by new boy Angel Rangel, Alex Baptiste, Pawel Wszolek and Conor Washington. Matt Ingram kept his place in goal and in front of him was an experienced back four of Rangel, Baptiste, Toni Leistner and Jake Bidwell. Josh Scowen partnered Massimo Luongo in central midfield with the former Bristol City man Luke Freeman and Polish winger Pawel Wszolek operating in the wide positions. Eberechi Eze played just behind Washington. Bristol City made two changes following their 2-0 defeat to Middlesbrough last Saturday. The injured Korey Smith was replaced by Swedish midfielder Niclas Eliasson whilst Matty Taylor came in for Jamie Paterson. 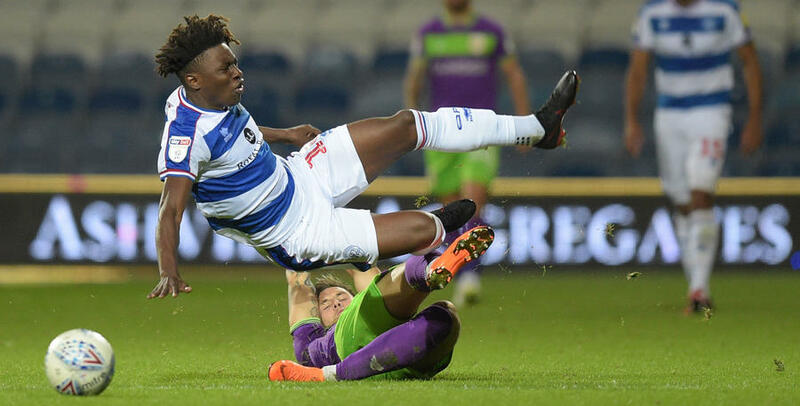 QPR had the first chance of the match in the 2nd minute when Eberechi Eze cleverly found space at the edge of the box before hitting a decent shot with his left foot, which was well saved by Niki Maenpaa in the City goal. In the 9th minute, Bristol City almost took the lead. A careless pass from Luongo gave the visitors possession and Matt Taylor whipped a dangerous ball into the box which Eliasson volley just wide of the far post. It was a tentative start by both teams with very little goal-mouth action. In the 23rd minute, Josh Brownhill tried a speculative effort from 25 yards out that was beaten away by Ingram. Two minutes later Luongo won a dangerous free kick just outside of the box. The two candidates for the set-piece were Luke Freeman and Josh Scowen. The former left it to the later but Manepaa was equal to his accurate free-kick. 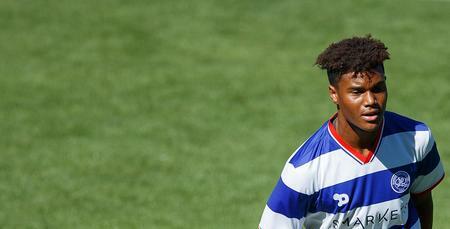 That seemed to spark QPR into life with Washington almost breaking the deadlock. Rangel’s cross was diverted into the path of the Northern Irishman and he managed to work the ball onto his right foot, only to be denied by a fantastic save by Maenpaa. From the resulting corner, Luongo improvised an audacious overhead-kick which only just went wide of the near post. The R’s were now very much on top. Luongo then produced a crunching tackle in midfield which allowed Freeman to release a great through ball to Wszolek. The Pole looked to be one on one but slightly hesitated and allowed Webster to produce a fine block. In the 36th minute, the ball broke to Freeman 30 yards from goal. He had other options but opted for a shot which was dragged well wide. Four minutes later, against the run of play, Bristol City took the lead. Matty Taylor ran into the right channel, he was followed by Bidwell but the left-back slipped and the City man cut onto his left foot and fired into the bottom corner. The goal was harsh on QPR who had enjoyed the better of the first half. But the R’s could have been going into the half-time break two goals down when a set-piece was flicked on to Marley Watkins at the back post and he was a whisker away from getting on the end of it. QPR went into the break 1-0 down and needed a reaction in the second period but got off to the worse possible start. Just four minutes into the half Eliasson got down the left-hand side and produced a fine cross which Andreas Weimann headed into the bottom corner. Just after the hour mark Steve McClaren opted to make a double change taking off Massimo Luongo and Pawel Wszolek for Jordan Cousins and Matt Smith. In the 64th minute, QPR really should have halved the deficit. Washington did fantastically well to skip past the on-rushing Maenpaa and squared it to Eze but the forward fluffed his lines from six yards out. Rangers were at least building some momentum and a few minutes later though they should have had a penalty when Matt Smith appeared to be dragged down in the box, the ref waved away the appeals. Freeman then hit a free-kick into the wall and Rangers huffed and puffed but further quality chances were at a premium. 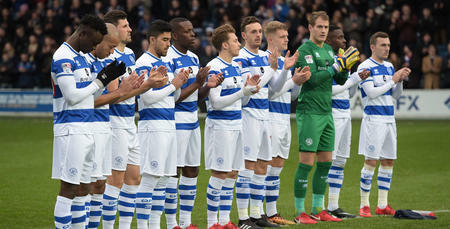 With 15 minutes remaining, Idrissa Sylla was brought on for Angel Rangel meaning QPR effectively had four forwards on the field. Scowen provided a decent delivery into the box in the 77th minute as he put a lovely floated ball onto the head of Smith who guided it just over. Rangers tried to force the ball forward in the final stages of the match but in truth, Bristol City professional saw out the game and added a third in injury time when Weimann tapped in a Josh Brownhill cut-back. 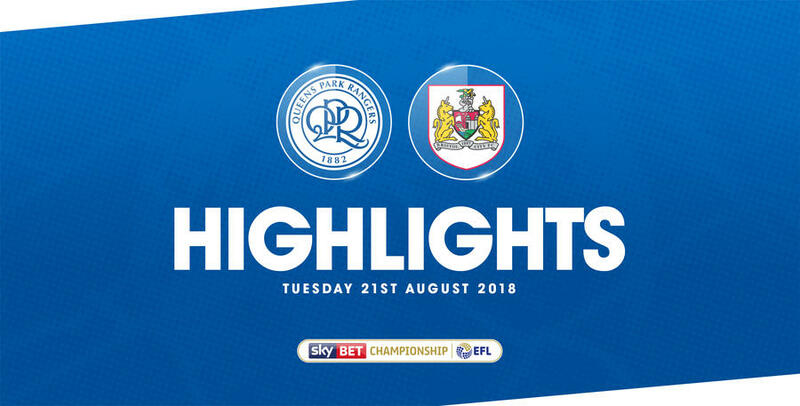 WATCH highlights from QPR’s 3-0 defeat to Bristol City on Tuesday night at Loftus Road.